In the process of bringing classic fairy tales to a wider audience, Disney has sanitized the more unwholesome sections of these stories. The original versions looked a lot different. They were darker, more violent, and many contained sexual content. No doubt, they were different stories with different kinds of messages. 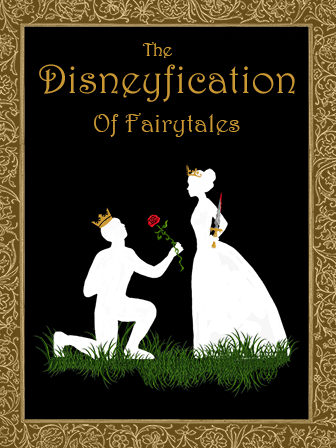 “Disneyfication” is defined as “the transformation of something into a carefully controlled and safe entertainment or an environment with similar qualities.” This book safely and respectfully explores the effects of Disneyfication on the stories that help to form the values of young children. This book would compliment a variety of units and lessons, anything from a unit on fairy tales to a lesson on theme. Young adults love deciphering hidden messages in media. This book is more than likely to spark some interesting debate.